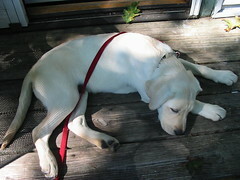 Snoozing Puppies » Blog Archive » Yup, forgot my keys again. « How are we supposed to sleep on a pattern this loud? This entry was posted on Wednesday, December 19th, 2007 at 12:13 pm	and is filed under pooped. You can follow any responses to this entry through the RSS 2.0 feed. You can leave a response, or trackback from your own site. i have reached my 500 vidio limit ,is there aynway to get more downloads [im trying to tell a story ,in vidio] i have noted edit vidio dosnt work [is it on a delay [or am i missing somethingi dislike that just visiting a bad site makes it look better because of one extra visitor, i noticed your featured vidios [is it producers choice allways has the same useless vidios, only being up by virtue of being seen constantly , thus clicked on , perhaps a better way would be to replace the selective selection with a topical , or search word ,that auto updates [refreshes ,every few minutes or so ]but shows more than just the 4or so same after same refreshingsi feel the visited numbers are making this experience less than it could be ,sort of if you know the system you get up automaticly , just by knowing to fool [bypass] the systemand perhaps better vidios just dont get seen [how can i see the full list [not just the last 5 pages of uploads] ,or the most seen, vieuwed , but all , the vids in a given catacory?